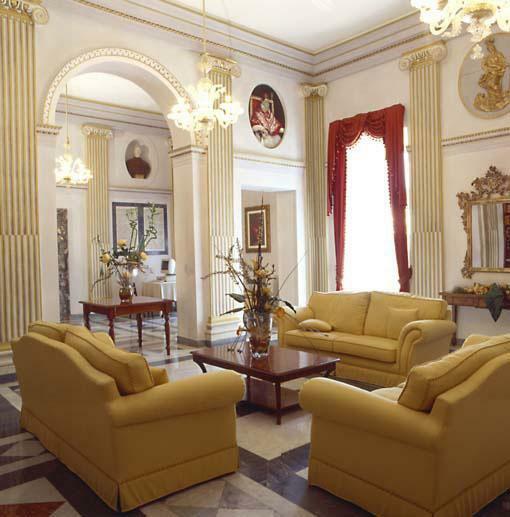 The Antico Palazzo Rospigliosi is found on the inside of an old Imperial Borromeo Palace dating back to the Renaissance period, and it was recently remodelled in the year 2005. 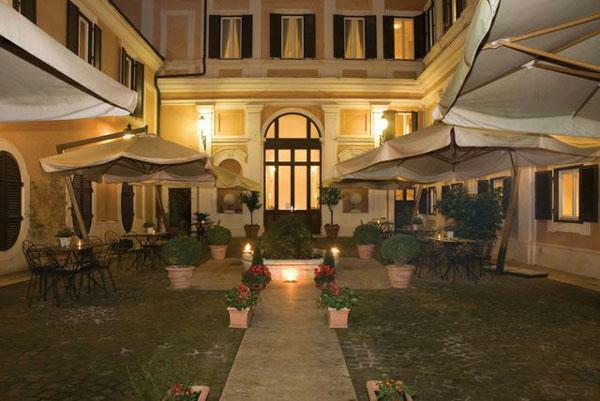 The palace is found in the center of the historic part of Rome, between the Termini Station and the Coliseum. 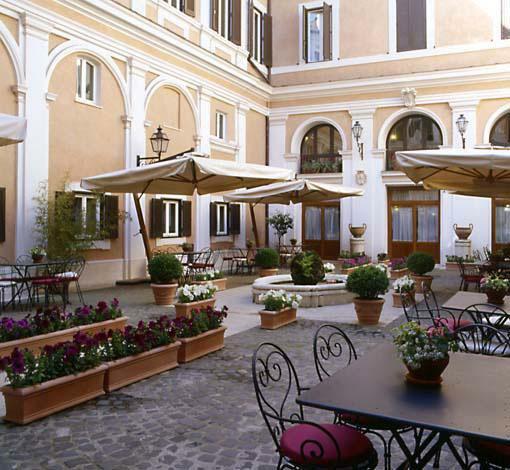 It was the antique residence of Giulio Rospiglioso, that was elected Pope in 1667 with the name of Clemente the IX . 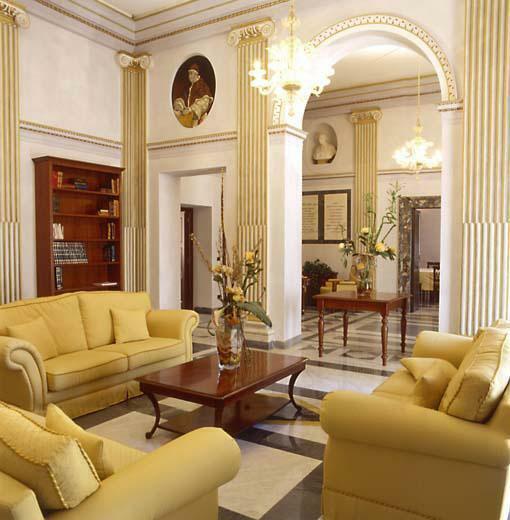 The 39 rooms of the hotel are all completely soundproofed and air conditioned and are distributed among 4 floors that are accessible by elevator or by a grand marble staircase. The facility has a private courtyard, and restaurant, a meting room and a studio. As a protected monument, the Antico Palazzo Rospigliosi is part of the historical landmarks and cannot be modified with out permission from the government. The guests will have the possibility to view the historical illustrations of names and people that goes back 400 years in time and it is possible to see who was actually guests of the church of the hotel. The two lounges , completely equipped for meetings or conferences, can be use as reading areas. From the courtyard, it is possible to enter the small church that is used for religious services. 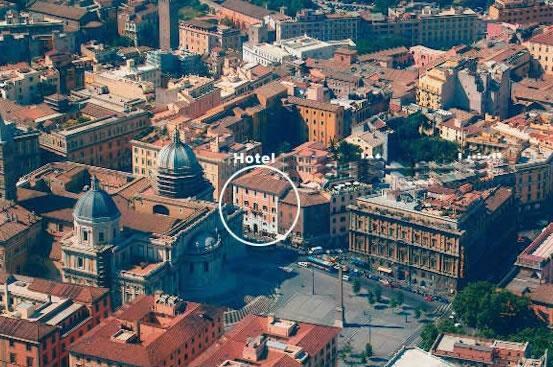 The hotel is found on the side of the Santa Maria Maggiore church, just a few steps away from the most important sights in Rome like the Fori Romani and the Coluseum. The shopping areas known as Via Veneto, Via Condotti and Piazza di Spagna are easy to reach by foot from the Hotel Antico Palazzo Rospigliosi. the hotel restaurant proposes typical Italian style cooking with fresh Mediterranean products. 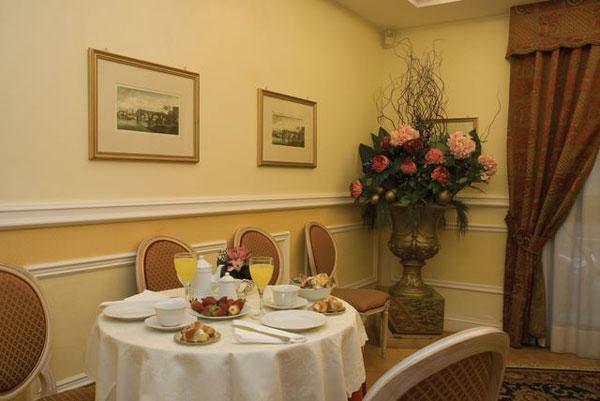 a comfortable breakfast room that serves a rich buffet with bread, sweets, ham, cheese, dried fruits and nuts, yogurt, fruit juice, tea, coffee and cappuccino. dafter a tiring day of touring around the city, our hotel guests can relax with a drink in the fantastic cocktail bar. 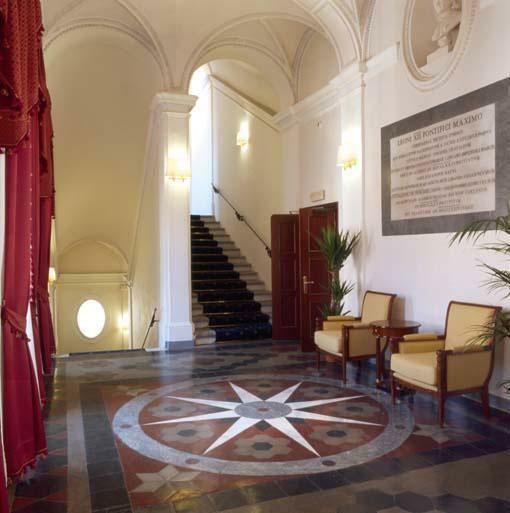 For conferences and business meetings, the Antico Palazzo Rospigliosi offers two well equipped lounges that are available also as reading rooms that area open 24 hours a day. From the hotel it is possible to access two small churches. One of these on request is available for private religious ceremonies. Our personnel is happy to help you, suggesting places to visit, typical restaurants, and things to do around the city. The area is located on the street level, accessible by stairs only.